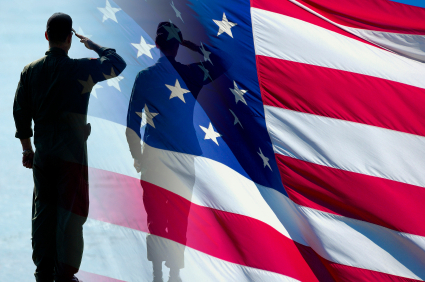 Online Debate: Should Military Service be a Pathway to Citizenship for Illegal Immigrants? This online debate between Shirley Spellerberg and Norman Adams is a continuation from Feb. 9th. In the Florida Debate, the topic of the DREAM Act resurfaced as Mitt Romney and Newt Gingrich said they could support a version of the DREAM Act providing a fast-track citizenship path for those who enter the U.S. military. The original version of the DREAM Act allowed for a pathway to citizenship for children of illegal immigrants who had lived in the U.S. for many years and enrolled in college or signed up for the U.S. military. In the article, "Enlisting Illegal Aliens in our Military is a Bad Idea", TexasGOPVote blogger Shirley Spellerberg discusses the reasons she does not think allowing illegal immigrants to enlist in our military is a good idea. She makes the case that this ruling would be a magnet for illegals to enter the United States. She reminds us of the Fort Hood shooting and states:"Pandering to the Hispanic voters in such a dangerous way is to overlook the millions of non-Hispanic illegals, many from the Middle East and unfriendly countries in South America and elsewhere, who have crossed our borders already and are just waiting for the right time to strike out and kill as many Americans as they possibly can." However, TexasGOPVote blogger Norman Adams writes a counterargument in the article, "Should Illegal Immigrants be Allowed to Serve in the US Military?" Norman claims that current law already allows expedited naturalization through military service. He also tells the story of a Texas cotton farmer named Marcario Garcia, who fought in World War II and received the Medal of Honor from the United States Military for his heroic actions. Shirley counters back writing that times have changed drastically since World War II when radical Islam did not present a problem to US security. She also states that "those who violate our immigration laws and those who promote that violation are putting self-interest above our state and national interest." Norman Adams agrees that times sure have changed: "If our ancestors had been faced with America's current immigration laws and quotas, we would likely not be Americans. Thank God our ancestors managed to get to the 'land of the free; before our immigration laws were screwed up." He also states that as long as a pathway to legalization is denied, amnesty will be inevitable as it is nearly impossible to deport millions of illegal immigrants. "So why not face the fact that our immigration laws are broken and must be replaced with laws and quotas that work? " What is your opinion? Should illegal immigrants be allowed to serve in the military? Comment below or at the TexasGOPVote Facebook page. I don't think it's fair because My parents decided to come here when I was 7. When I was 12, I had a hip replacement because of a birth complication. Its not fair because if ilI want to join the US military to get citizenship I wouldnt even get accepted. If I could I would fight for this country but they won't take me thats the problem. I think they should take the people who are able to join, and the people who are physically incapable to make them go to college. Our military is cutting back now that we are pulling out of Iraq and Afghanistan, so we are even in less of a need for more military members. I believe it's a rotten idea of allowing illegals in our military. Alot of them are gang members (MS-13, 18th street, Nortenos, Surenos, Mexican Mafia) and are even sent by the drug cartels from Mexico to learn tactics and weaponry. One of the main factors in the The fall of the Roman Empire was allowing foreign mercenaries into the Roman legions who then turned on their own country because the allegiance to their home country was stronger. Unemployment is still very high for young US citizen kids so if we allow more illegals in our military this will mean (again) another missed opportunity for our kids since illegal aliens will be taking their place. Why do we concentrate more on the welfare of the illegal alien than our own kids? Where is the sympathy for our own impoverished youth? ?